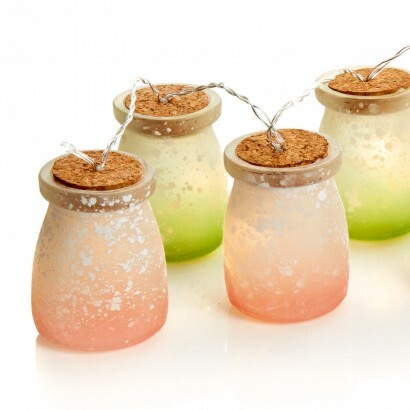 Rustic and decorative, these mini coloured glass jars are lit with warm white LEDs for a cosy glow adding instant atmosphere to your interiors. 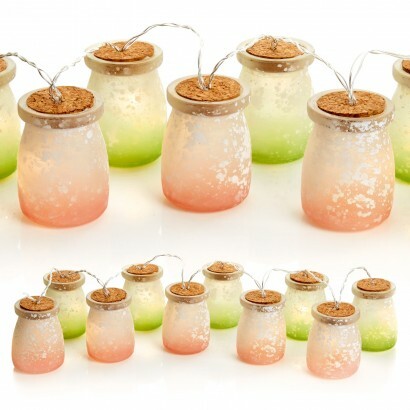 Perfect for adding character to surfaces around your home, these frosted glass jars come in a combination of orange and green each with a generous dusting of frosting and topped with a cork. 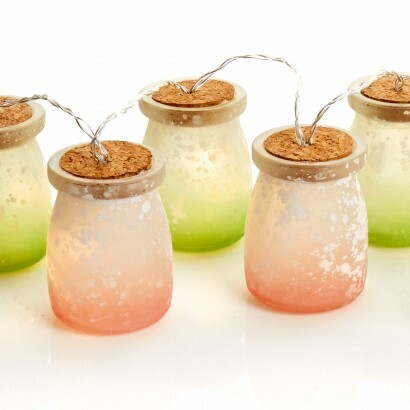 These neat glass jars are battery operated allowing you to place them anywhere for a welcoming, homely glow and with a metre of illumination, they'll brighten up the darker areas of your home beautifully.